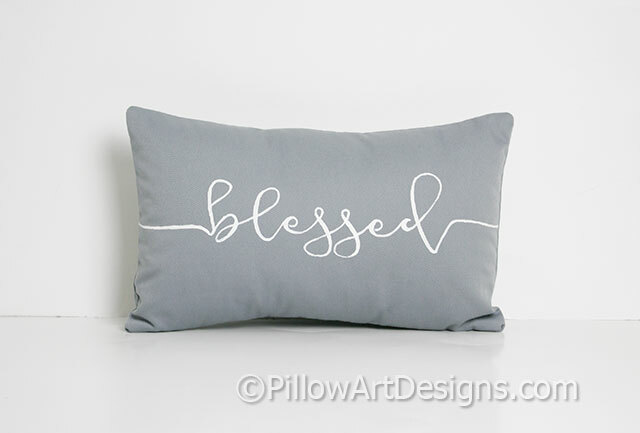 Small grey cotton pillow with word Blessed hand painted in white cursive font. 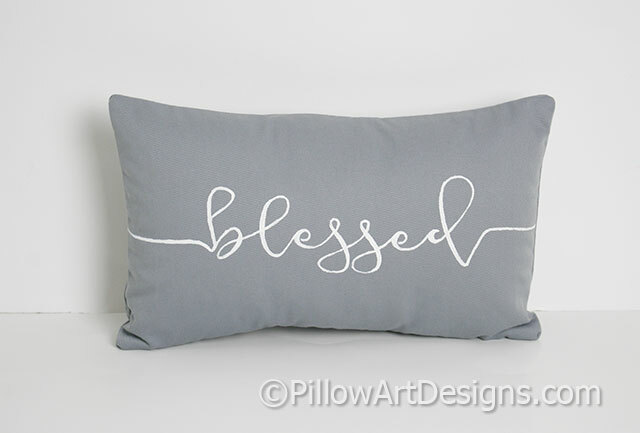 Pillow measures 8 X 12 inches and comes stuffed with hi loft polyester fiberfill, no need for an insert. 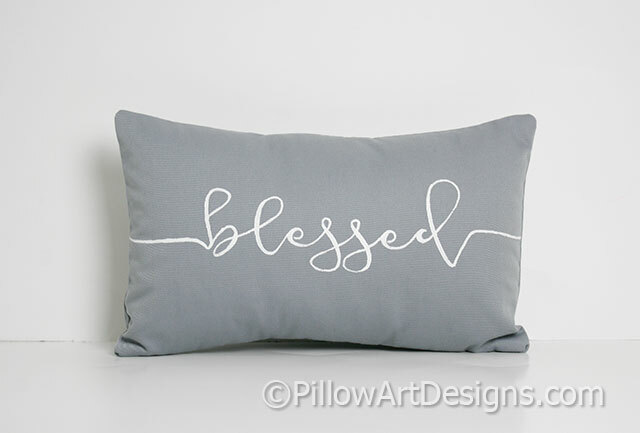 Outer fabric grey cotton polyester twill, fully lined with white cotton polyester.